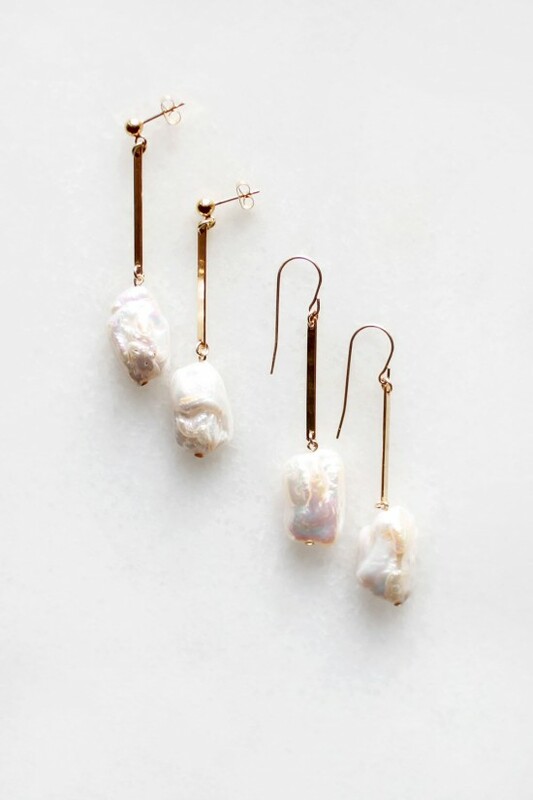 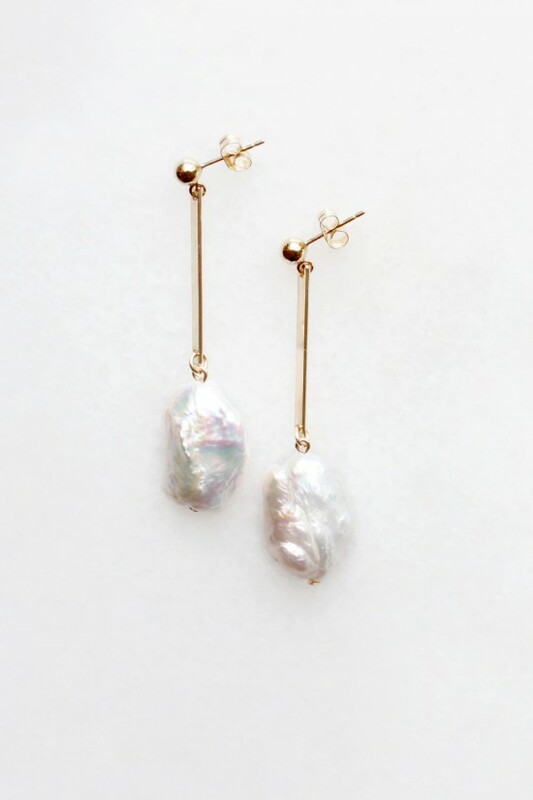 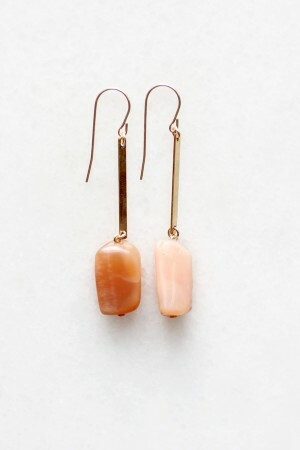 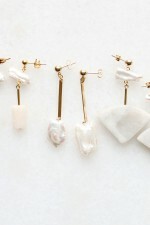 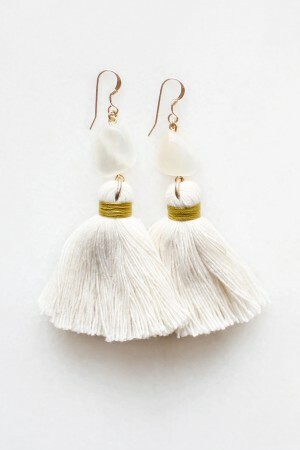 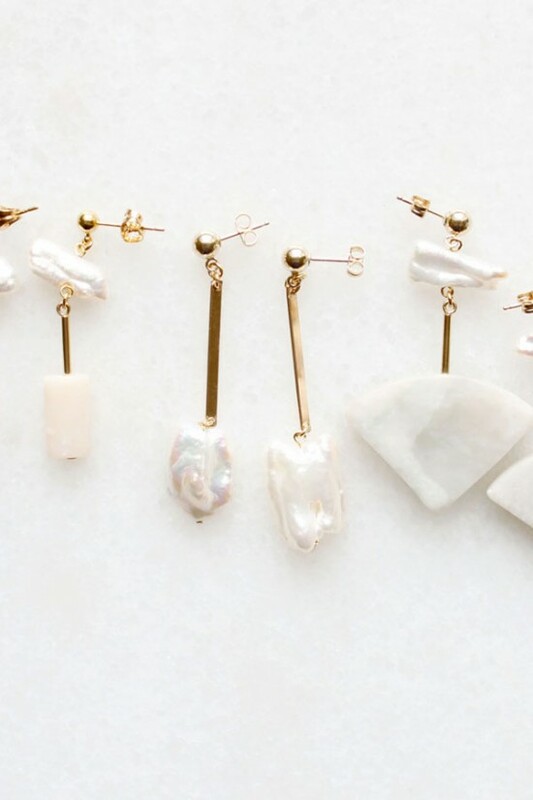 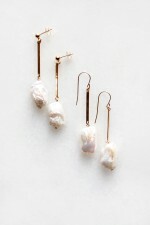 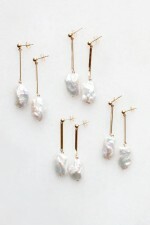 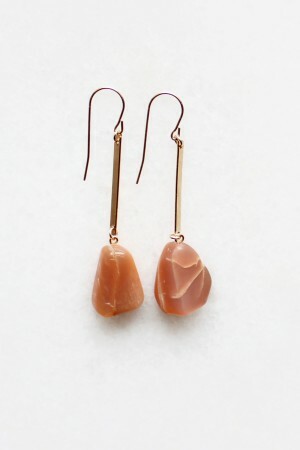 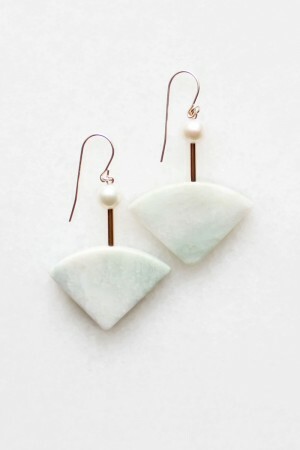 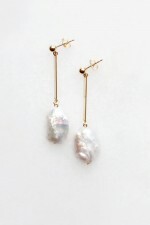 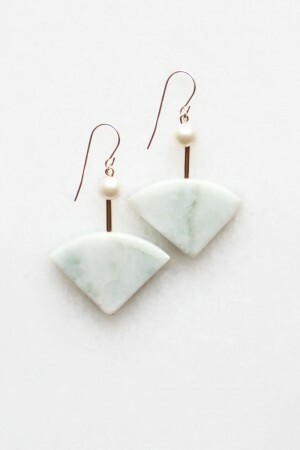 Long drop earrings featuring irregular freshwater pearls. 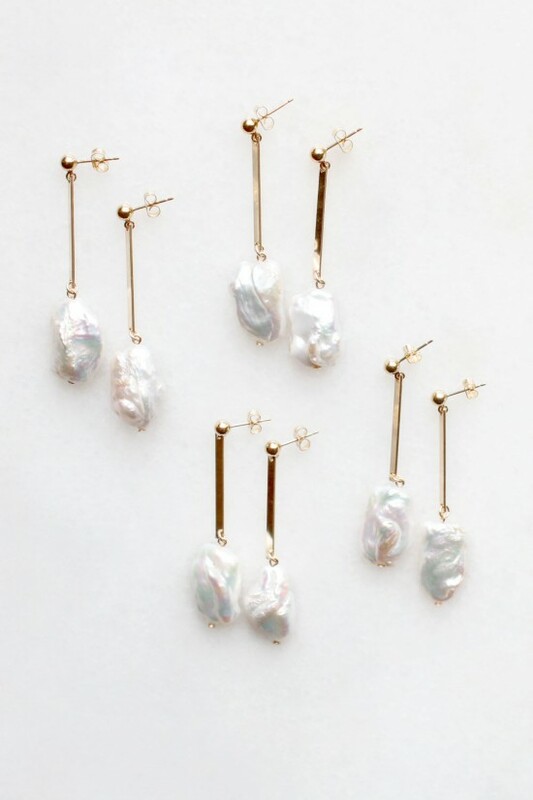 Available in a choice of 14kt gold filled ear wires or studs. 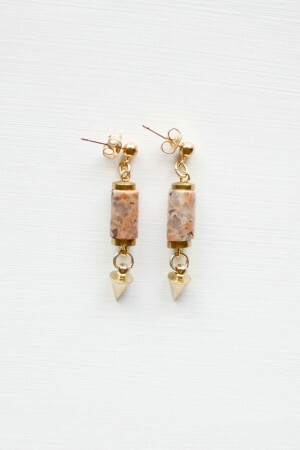 Total drop length measures 50 mm.